The CD contains two representative tracks from the Slices of Life album. Besides the two latest compositions, a 26 minute concert recording is being placed onto this release, which was recorded at selected festivals, from the mixing board. 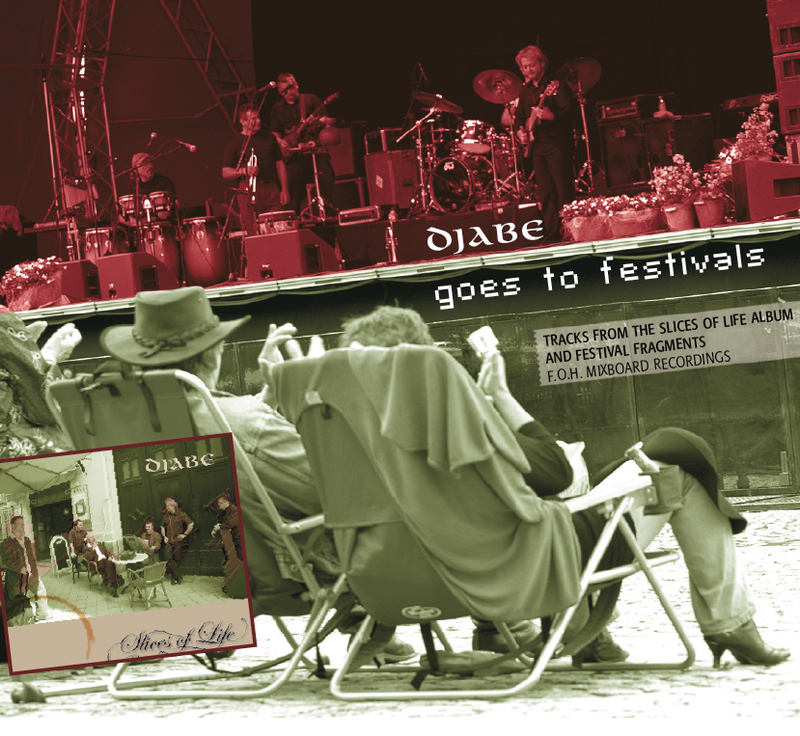 The set contains local introductions of the band’s most memorable moments of the Djabe festival from Rochester, Kaunas, Burghausen, Pori and Stockholm. Those, who still find this not enough, can even watch a 16 minute part of the Djabe 2003 concert, organized in the Pesti Vigadó. The master of this multimedia CD was produced in the Abbey Road Interactive, London.